Time for another gift guide! Today I’m sharing some of my favorite stocking stuffers including everything from lip gloss and hand cream to nail polish and a great water bottle. In case you missed my other gift guides, check them out using the links below! And there are lots more on their way between now and Christmas, so come back for more gift ideas next week. **Disclosure: While I received samples for review, all opinions are my own. Also, this post was original written and published by me on Examiner.com. I love Tarte and Bare Minerals, I just wish they were easier to get your hands on here in the UK! I always love stocking stuffer ideas! Must have that pumpkin pie chapstick! I’d be happy to get any of these in my stocking Great roundup! Ohh yes please!! Can I please find them all in my stocking this year?! 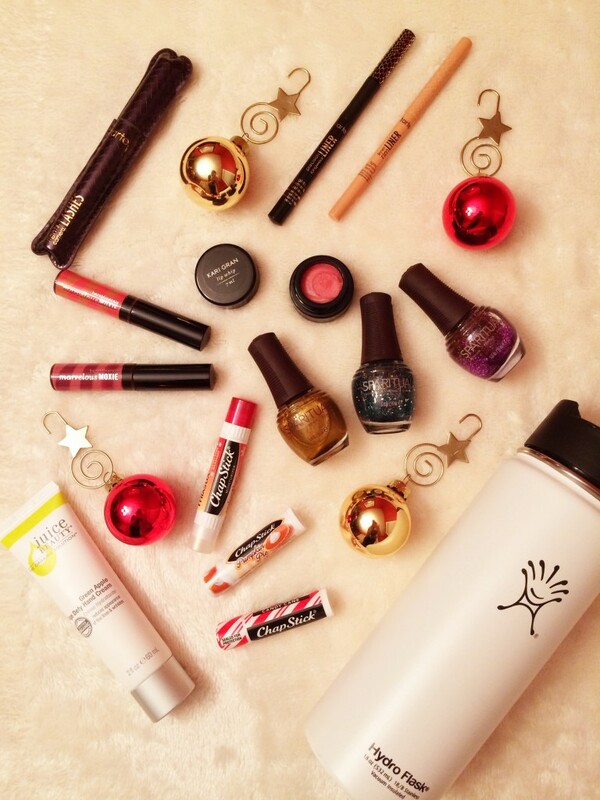 I haven’t seen the holiday chapsticks yet…I will be looking for those! Thanks for the list!! Looooove your picks! We’ll definitely be purchasing some of your suggestions.